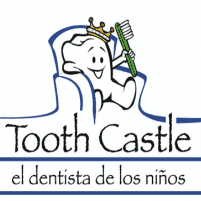 "My son was extremely anxious and the staff at Tooth Castle was spot on! Everyone was so graceful with him and me, and so kind." "Dr. Fuentes is by far the best dentist we've had. She's knowledgeable, kind and overall a great person." "Dr. Fuentes is great, she tried everything to make my son feel comfortable. Her staff is also very caring. Tooth Castle is really nice for the kids."